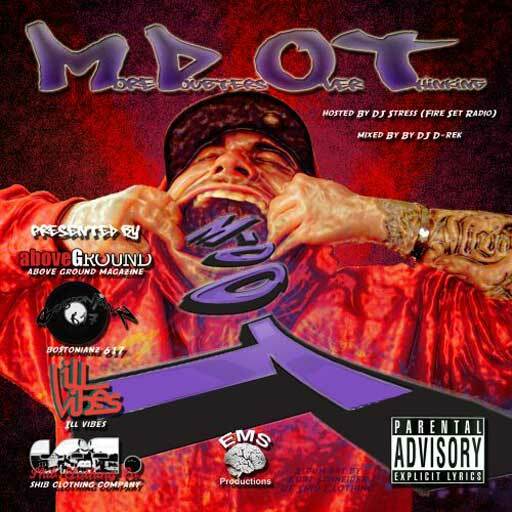 Mass Hip Hop: Mixtape: M-Dot "More Doubters Over Thinking"
Here's the third installment in M-Dot's acronym series, More Doubters Over Thinking, presented by Shib Clothing Company, Above Ground Magazine, iLLVibes & Bostonianz617. Hosted by DJ Stress (Fire Set Radio) & mixed by EMS Productions' own, DJ D-Rek. Download More Doubters Over Thinking from HulkShare.